Home Posts tagged "Sao Paulo"
You may have wondered why you haven’t seen anything from us about a 2017 Open Arms Gala. The reason is that we are taking a year off from that format in order to bring our story to a broader audience in more intimate settings. To succeed in this mission we need you. You are our most enthusiastic supporters and our best ambassadors. 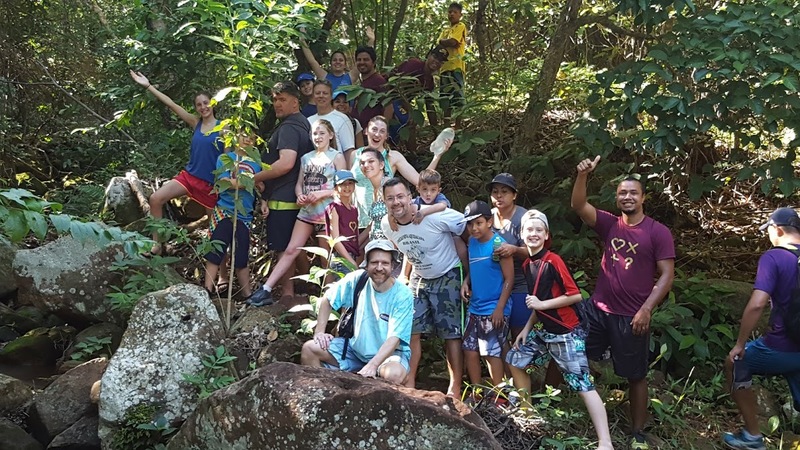 This past April, Open Arms’ Founders Mike & Patricia Meyers led a team of eighteen parents and children from Reston Bible Church to serve in an indigenous region of Brazil. 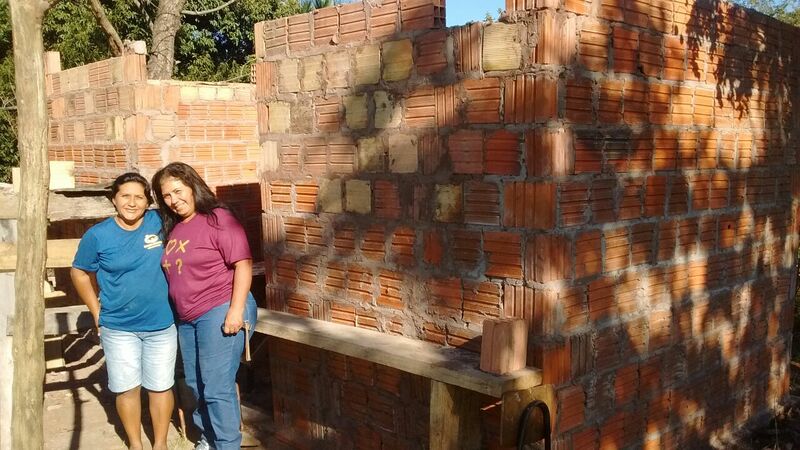 Our U.S. team partnered with a team of Brazilian volunteers and missionaries with Open Arms. The teams partnered with a tribal church in the village of Limão Verde in order to serve families and reach children with the gospel of Jesus. Many of you gave and prayed in support of their efforts, and we just want you to know how thankful we are for your generosity. Here’s a quick look at their trip. Click HERE for Video. Thanks to the hard work of Open Arms’ newest Agent of Hope, Bruno Gomes, the children and community where Open Arms’ got its start were blessed with a new soccer field in the 2nd quarter of this year. Bruno and his team of volunteers have hit the ground running and breathed new life into this our oldest mission outreach! 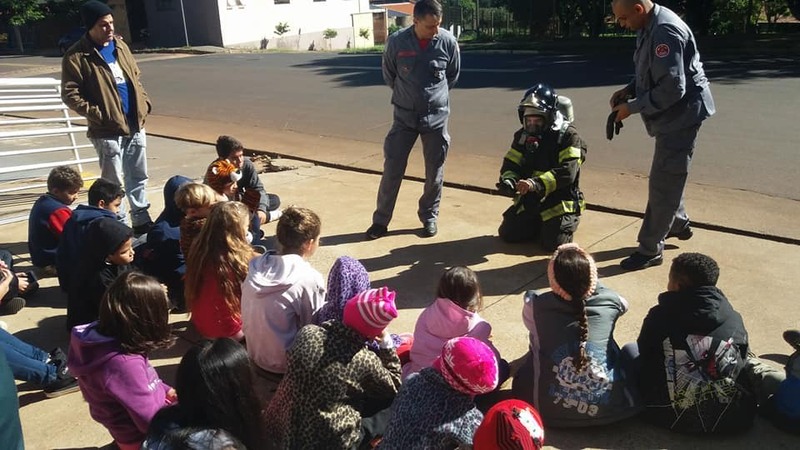 Among other things they arranged a field trip to the local firehouse for a lesson on safety and the civic responsibility of all who call on Jesus. Please keep Bruno in your prayers as he leads his team and brings hope to these children. Join Open Arms as a regular financial partner. 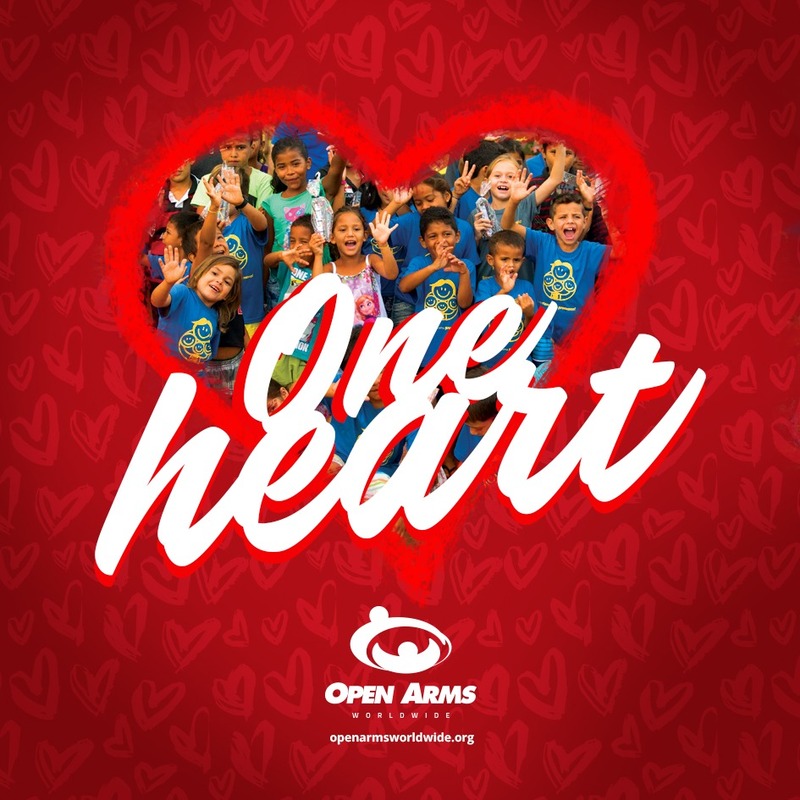 You can help us to be the Open Arms of Jesus to more children today. Corrego Seco Village Open Arms gets a facility upgrade! One of our newest outreach mission locations is in the Terena Indian village of Corrego Seco. This village has been resistant to the gospel for many years, but the work of Open Arms is opening doors and hearts there among the children and now their parents. The team meets with the children under a mango tree next to a 1 room building that serves as the kitchen. There is no bathroom and no area for the children to seek shelter from the sun or rain. That is until a couple of very generous donors stepped up to pay for the purchase of all the material necessary for a bathroom and a covered veranda. Construction is already underway! Join our 2018 Camp Team! This June, Open Arms’ missionaries Lucas and Krystin Clemente were invited by Reston Bible Church to lead worship for their annual Kids Camp. They led 340 children and their leaders in a week of worship and were blessed to see many children come to faith in Jesus as well as visit with friends who have served with them in Brazil on short term teams over the years. Blessings all around! The 2nd quarter was a busy one and not everything would fit in this newsletter and still keep it readable. However, here are some exciting headlines. Our 3rd annual Run the Race afterschool character education program in Sterling, VA was a huge success. We delivered more than a 1,000 books and needed funds to our Sterling partner school through the Open Arms & Open Books campaign. Our agents of hope in Brazil were invited to give a seminar to public school children on drug addiction and crime prevention from the Christian perspective and share the gospel. Yet another youth, Marcos, has turned his back on crime and drug use to join Open Arms as a volunteer. The love of the children is transforming his life day by day. Our youth detention ministry has welcomed another young man into God’s family. Fabricio gave his heart to Jesus and is making great strides in his faith during his incarceration. Pray he would stand firm in his faith upon his release. For more headlines like these, we encourage you to follow us on Facebook.